Registrations and firings continue at the Phnom Penh Post today. The Phnom Penh Post has been sold to Sivakumar Ganapathy, a Malaysian investor and executive at a public relations firm that has previously done work for Prime Minister Hun Sen’s government. Apartment A52 is a substantial 5th floor residence spread over two bedrooms – 1 double and one single, a massive open plan living area and kitchen with a dining set, washing machine, hob and oven – perfect for receiving and entertaining family and friends. Very large bathroom with 2 washbasins and power rain shower. Now in it’s fourth year as a charity event, The Distinguished Gentleman’s Ride is at the forefront of encouraging men to take responsibility for their health, get checked and seek support in time of need. The Distinguished Gentleman’s Ride and the Movember Foundation both share this common goal of giving more life to our fathers, sons, brothers and friends. 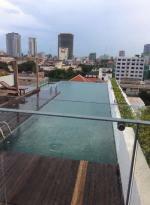 Currently there are two, two bedroom apartment available now in popular Tonle Bassac. This exceptional property blends stylish, sleek design with modern amenities to offer superb value for money. A recent Global Post article fell in love with our fair capital for its cheap coconuts, cheap housing and cheap beer. And while low-cost she may be, it’s quality, not price, that makes Phnom Penh more than just a cheap thrill. When French novelist, poet and playwright Jules Verne packed fictional adventurer Phileas Fogg off to circumnavigate the planet, it was to be a full 80 days before the rascal returned from his mission. Amateur!